The ‘John A. Warden’ Starship has gone missing. At last sighting the ship was plotting an unknown course and had turned off all communications. 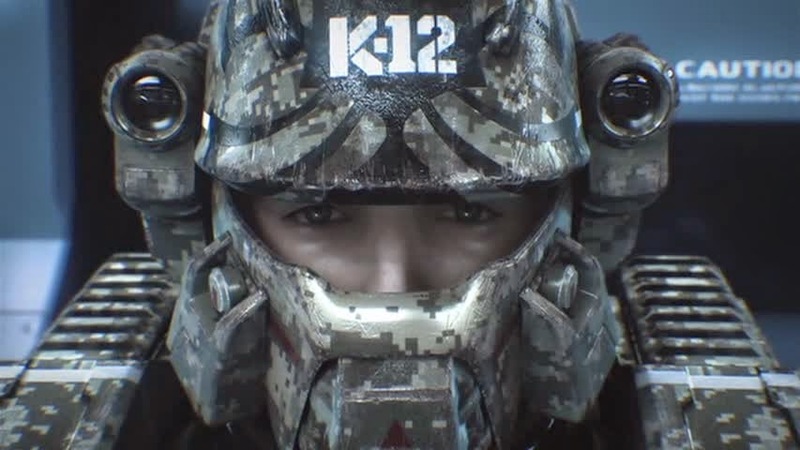 A team of Mobile Infantry soldiers are brought in to locate and investigate the ship but will they be ready for what is waiting for them on-board? So I’ve now willingly watched three straight to video sequels to ‘Starship Troopers’. How I managed to get to this point, I’m not entirely sure. I found ‘Starship Troopers 2: Hero of the Federation’ ok if not a bit over ambitious and ‘Starship Troopers 3: Marauder’ ambitious and not at all ok. 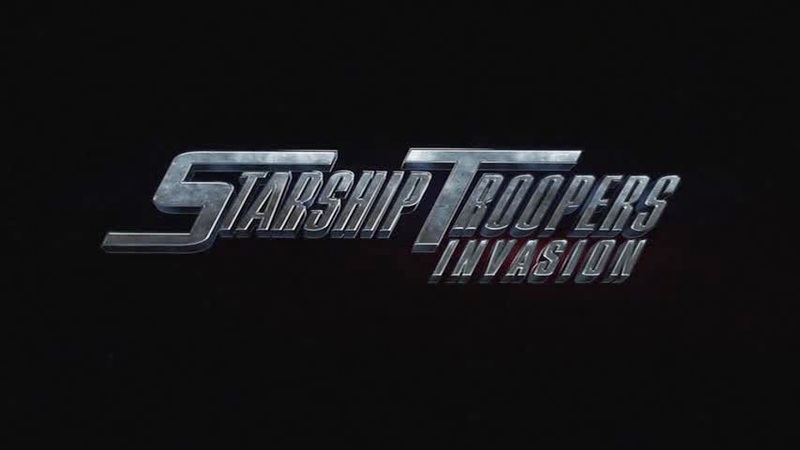 So without a huge amount of enthusiasm I found myself watching ‘Starship Troopers 4: Invasion’. Now ‘Invasion’ differs from the other films in the series by being animated. Does the computer generated approach help revive the movie series, or is it an attempt to reanimate a corpse? 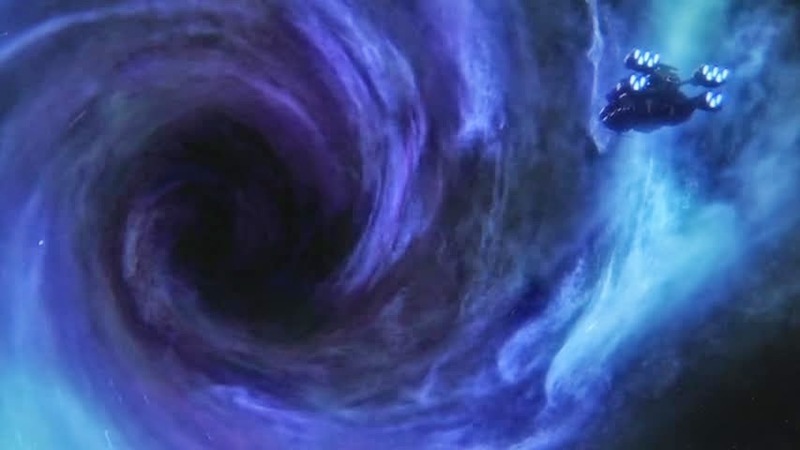 So these realistic CG movies haven’t had the best track record with me. I’m yet to see one that truly captures the humanity in its polygons that makes a story really engaging. Now I’m about to say something that is damning this film with about as much faint praise as I can, this is the best CG animated ‘realistic’ film I have seen. Now before you uncork the champagne and release the banners I should explain a few things. 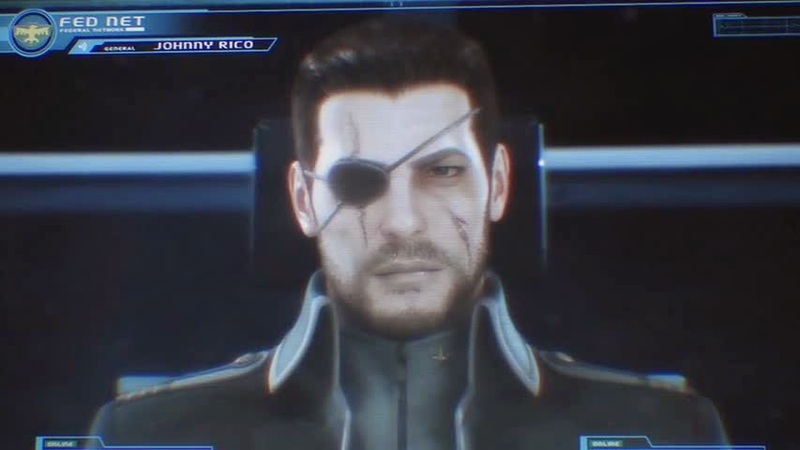 I am not saying that ‘Starship Troopers 4: Invasion’ is a good movie, I am however saying that it is A movie. We have a plot, we have characters and we have more than the usual 2 hour render benchmark tests these sorts of films rapidly become. So this film continues the trend set by the previous two sequels of solidly crafted films being let down by weak scripts. As with the previous sequels we start the film being introduced to a huge variety of different characters, all of whom we are meant to become engaged with emotionally. As with the previous films we are simply introduced to too many characters to truly care about them as much as we should. To its credit, smart direction does manage to make a few of these characters stand out but these few should have led the film from the beginning. This approach would have given these characters an opportunity to breath and would have made the film considerably more engaging. The general plot of the film could have used another draft also. The script is filled with moments where I found myself trying to work out the logic of the characters. For example we see several commanding officers choosing to go on suicidal rescue missions with their teams. This in itself wouldn’t be weird if they weren’t always risking more soldiers than they could ever save in doing so. From a technical perspective this film is surprisingly impressive. Although made at a very low budget various efforts have been made to hide this fact. For Example the Mobile Infantry have to enter spaceships without oxygen, so they are wearing power armour with life support. 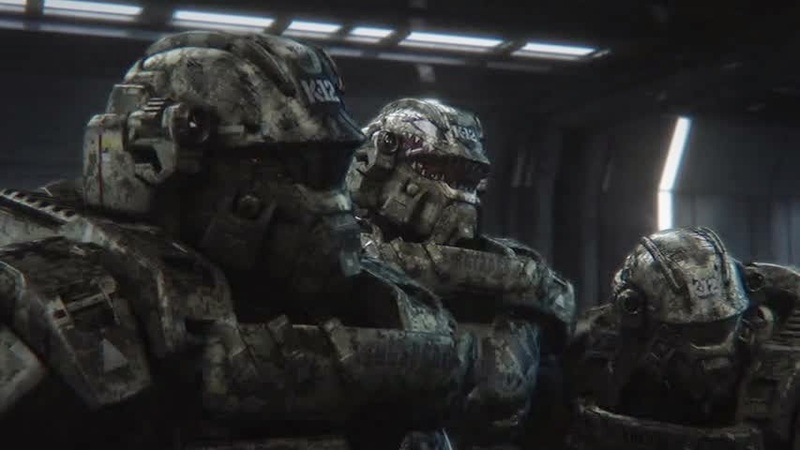 This power armour makes the huge amounts of soldiers incredibly similar in appearance, saving hours in 3D modelling time. Clever direction is used to hide the lack of budget also, with the cast often reacting to impressive things we will not see until we absolutely have to. Impressive lighting and camera angles also do a lot to create an impression of a location, without having to show it in depth. The entire film feels as if it is being overseen by somebody with a stopwatch, doing everything they can to save on expense when possible. 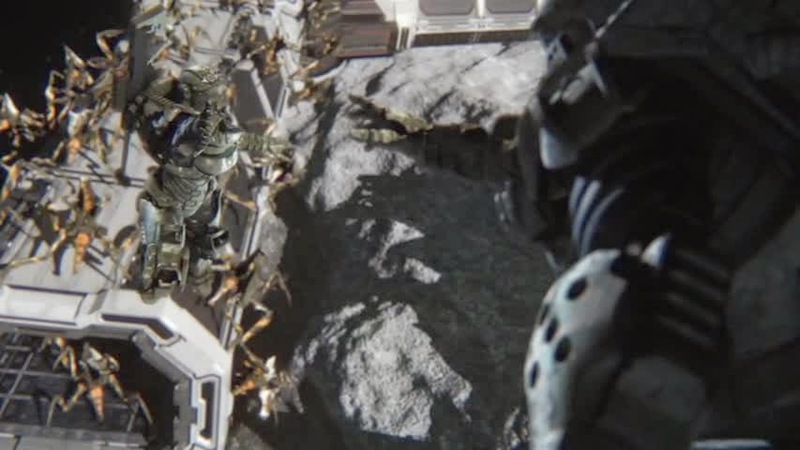 For this reason ‘Starship Troopers 4: Invasion’ feels very large in scope and looks very impressive. However it doesn’t need somebody with experience in CG to notice the budgetary decisions that are holding the film together either, with a slight feeling of repetition plaguing the copy/paste attitude of the film. So ‘Starship Troopers 4: Invasion’ has many of the same issues that plagued the previous sequels. That being said it also manages some things that the other films didn’t. Despite having quite a large cast several characters stand out from rest and make a genuine impression. Smart direction also gives the film some genuine moments of emotional resonance, abandoned areas feel peaceful, frantic battles feel frantic. This movie will not win any awards but it is easy to see the huge amount of work and heart that went into it. The people who made this film obviously cared about it and wanted to make something special. They didn’t entirely succeed, not by a long shot, but this film is one lost ship worth investigating.